Systematic Investment Plans (SIPs) have long existed. However, they have only recently turned eyeballs. The number of SIPs in the Mutual Fund Sector has more than doubled in the past three years. Systematic Investment Plans (SIPs) have long existed. However, they have only recently turned eyeballs. The number of SIPs in the Mutual Fund Sector has more than doubled in the past three years. From 51.96 lakh SIPs in 2014, the number has surged to 1.28 crore as of March 2017. All this can be attributed to the rally in the equity markets that have lifted investor confidence. So what's all the fuss about SIPs? According to the rupee cost averaging approach, an investor has the power to buy more units when the prices are low and less units when the prices are high. This is characteristic of every investor for a stock market. However, market forecasting is uncertain and anything can cause a rally or a downturn. Hence, the rupee cost averaging feature of the SIP can ease out the average cost per unit over time, even if the investor does not pull out when the market is bearish, thereby increasing profits as and when the cycle turns and the market rises - just like the status of the Indian markets currently. However, this won't completely negate risks if you decide to sell when the market is at a low. Premature exits could impact your portfolio returns. The key point to keep in mind is to continue to invest through periods of low price levels to achieve the benefits of rupee cost averaging and reduce risks. The power of compounding allows your investments to yield multi-fold. The money you make off of an investment can be reinvestment to make even more gains than your initial investment. Substantiating with an example, say you've invested Rs 10,000 which makes a 10 per cent interest annually. This fetches you Rs 1,000 in interest. However, in the second year you will make Rs 1,100 because not only your initial investment of Rs 10,000 accrue interest, but the additional Rs 1,000 that you made in the first year yields you money. In the 10th year, you will make Rs 2,358 and in the 30th year you will stand to make Rs 15, 864 - All this without making a further investment beyond the initial Rs 10,000. This reiterates the first point of staying invested longer to reap higher returns. 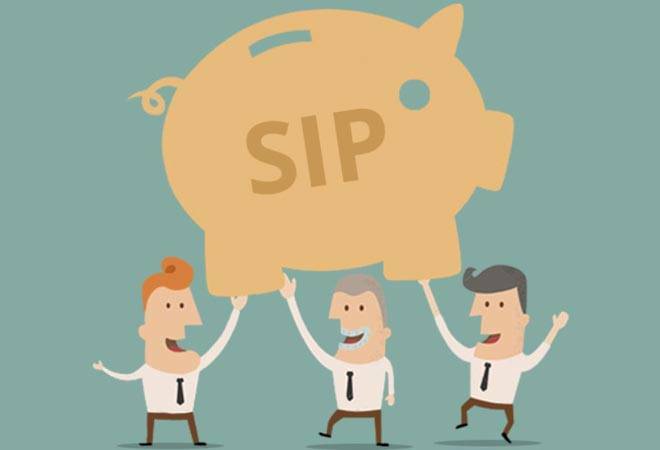 SIPs can be used to achieve your financial goals like meeting funds for a child's education, expenses for a marriage and to even create a corpus for a secured retirement life. However, it is advised to start early on to minimise the investment amount needed to achieve your goals. Currently, in the present market scenario, analysts are bullish on equity oriented Mutual Fund schemes through SIPs. "We are optimistic about the Indian market. Still, we believe market could go further high backed by several fundamentals like stable government, GST rollout, good monsoon and better than expected corporate earnings for the Q4," says Abnish Kumar Sudhanshu, Director & Research Head, Amrapali Adaya Trading & Investments. "We are likely to see better returns in the equity market. And also we have witnessed huge fund buying in the past , which has also supported the benchmark indices to touch new highs up recent. Following the above statement, we advise equity investment is the suitable choice," Abnish adds. When asked on whether to invest in debt or equity, considering the bullish trend in the markets, Deepak Jasani, Head of Retail Research, HDFC securities says, "This depends on the current asset allocation of the investor and the intended allocation based on his risk return profile. SIP in equity can be initiated at anytime. In fact if it is started at high levels and then markets fall, the investor would benefit out of lower average entry prices.